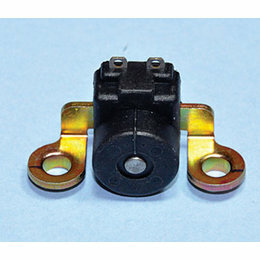 High-quality replacement for OEM trigger coil All coils feature high-quality components for superior performance and long life Please Note: The image displayed is representative of the item, but may vary depending on your specific model. 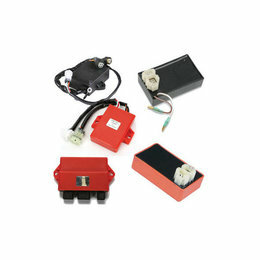 CDI box enhancements include one or more of the following: multiple spark, increased rpm redline or altered ignition advance curves Advance curve allows ATV to rev at higher rpm and quicker rate Also may be used to replace defective CDI box on stock machines Fits the following Arctic Cat models: 90 2x4 Auto (4-stroke) 2005 90 Utility 2005 Please Note: The image displayed is representative of the item, but shows a variety of styles. You will only receive a single CDI Box appropriate for your specific model. CDI box enhancements include one or more of the following: multiple spark, increased rpm redline or altered ignition advance curves Advance curve allows ATV to rev at higher rpm and quicker rate Also may be used to replace defective CDI box on stock machines Fits the following Arctic Cat models: 90 DVX 2009 90 Utility 2006-2007 Please Note: The image displayed is representative of the item, but shows a variety of styles. You will only receive a single CDI Box appropriate for your specific model. 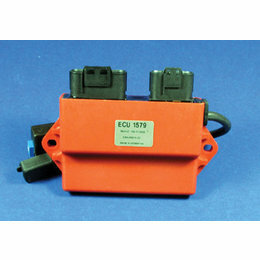 CDI box enhancements include one or more of the following: multiple spark, increased rpm redline or altered ignition advance curves Advance curve allows ATV to rev at higher rpm and quicker rate Also may be used to replace defective CDI box on stock machines Please Note: The image displayed is representative of the item, but shows a variety of styles. You will only receive a single CDI Box appropriate for your specific model. 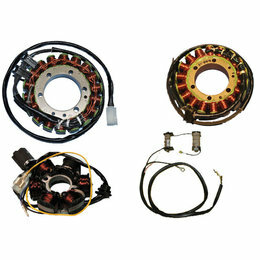 CDI box enhancements include one or more of the following: multiple spark, increased rpm redline or altered ignition advance curves Advance curve allows ATV to rev at higher rpm and quicker rate Also may be used to replace defective CDI box on stock machines NOTE: if no fan wire, use Rick's P/N 15-620 instead) Please Note: The image displayed is representative of the item, but shows a variety of styles. You will only receive a single CDI Box appropriate for your specific model. 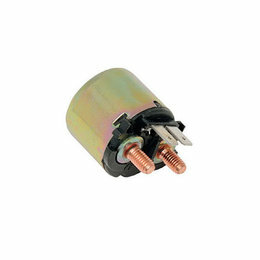 Direct plug-in stators complete with all rubbers and OEM-style plug end. Direct plug-in stators complete with all rubbers and OEM-style plug end. NOTE: Grommet not included, must reuse stock grommet.